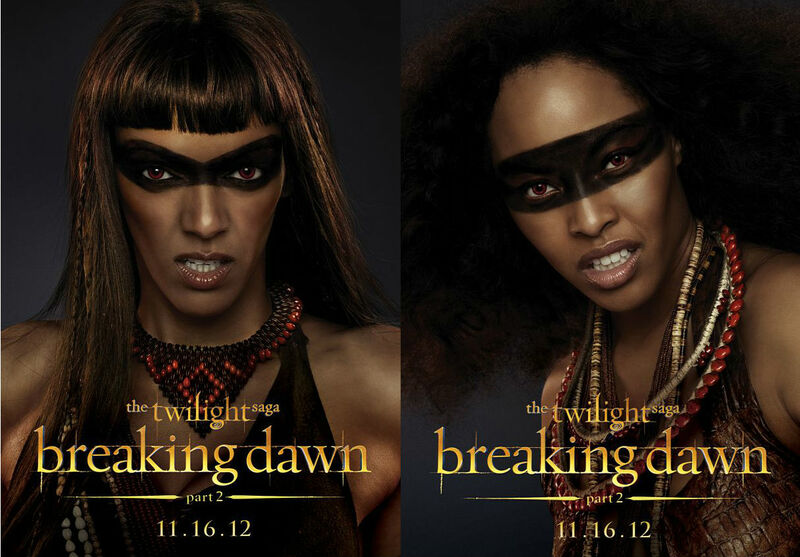 Surprisingly, these characters posters for Breaking Dawn – Part 2 are not terrible. But wait. There’s more. For the first time in my life, I am grateful that Twilight exists. I have been struggling with a terrible case of writer’s block for a few weeks. 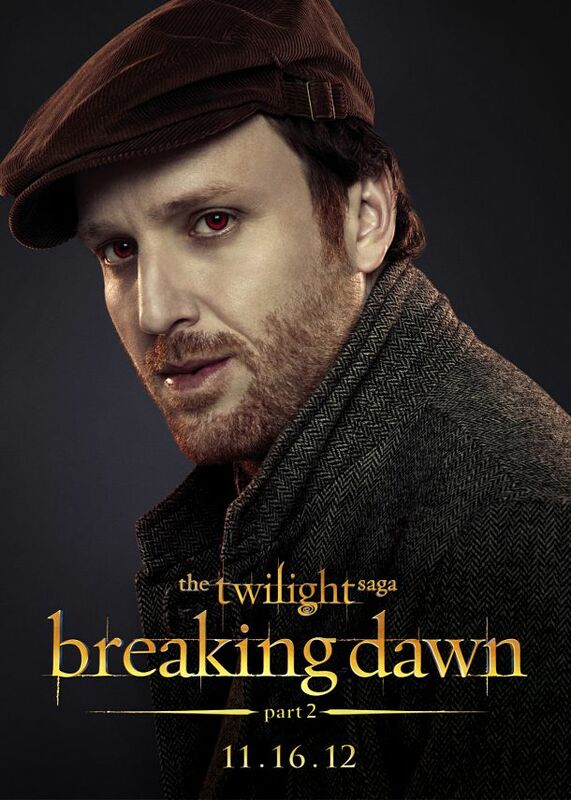 Fortunately, I have been saved by the new character posters for The Twilight Saga: Breaking Dawn – Part 2. 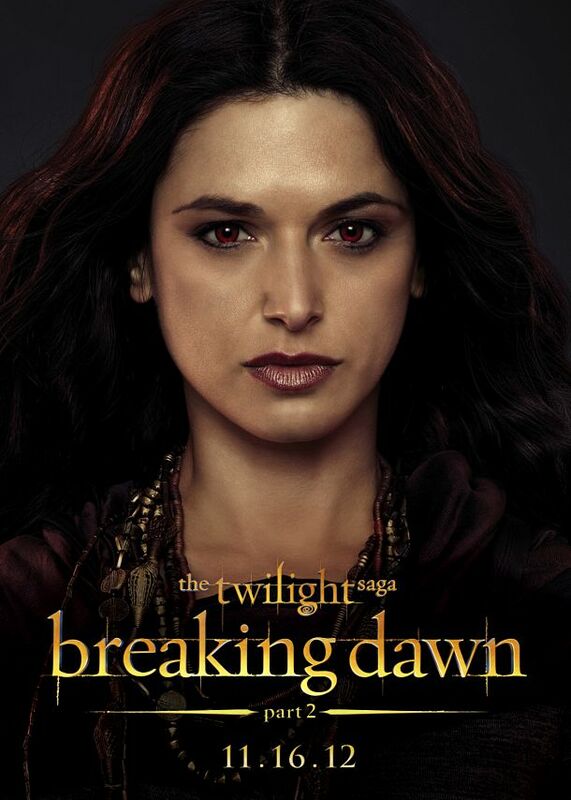 These Breaking Dawn character posters are a glorious display of the Twilight Marketing Machine in action and they have given me a reason to blog again. For starters, there are 23 posters. 23. I didn’t even know that The Twilight Saga had 23 characters who needed posters. (Are Michael Sheen and Dakota Fanning still around? If not, then I know absolutely nothing about this franchise anymore.) These posters introduce us to the vampire covens (and a nomad!) 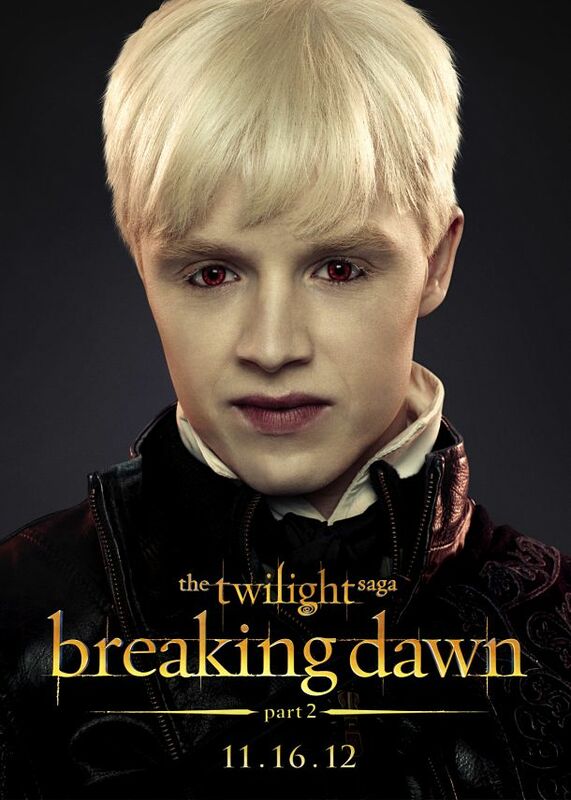 who appear in Breaking Dawn – Part 2 for reasons I don’t know. It probably something to do with Bella and Edward’s child. Unlike the character posters for the main trio (above), these 23 posters are boring. But they get bonus points for their excellent portrayal of ethnic minorities. Congratulations, Twilight Marketing Machine. 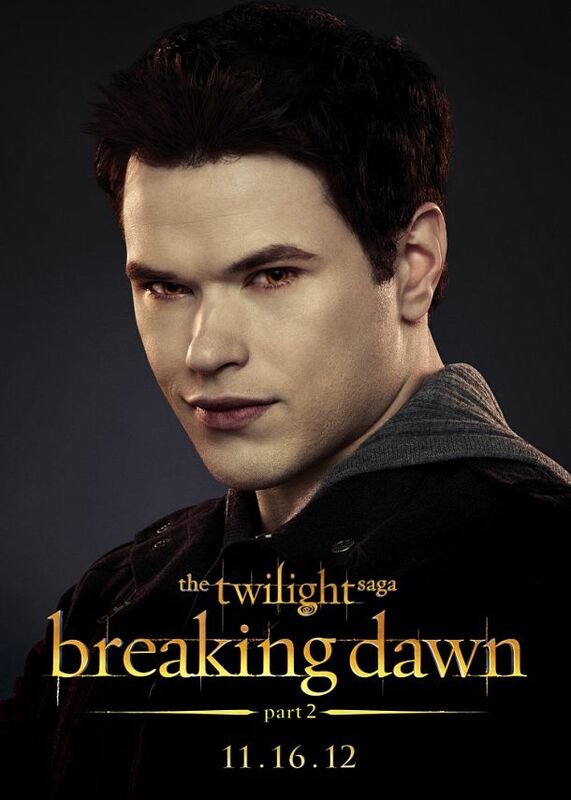 You have successfully made Kellan Lutz/Emmett Cullen look like Jersey Shore reject in every single movie. Also, the Cullen Coven would be an awesome name for a Twilight parody band. Someone please do that. This poster implies that there is nothing remotely interesting about Kebi or the Egyptian coven. At least she has a fancy necklace? These are the two greatest worst character posters in the history of awful character posters. These posters are frightening… because someone thought it was an excellent idea to make these two characters look completely animalistic. I think I prefer boring and unimaginative character posters. The Twilight Saga: Breaking Dawn – Part 2 will be released on November 16. I know, you can hardly contain your excitement. Reading your post just made me realize I know nothing of the franchise. 23 is a big number, considering most of these people will only appear on this half-film. Then again, way to advertise the film–their advertising team sure knows how to work it. This blog entry is dead on (ha) perfect – personally, I dislike the entire Twilight project – books, movies, inevitable merchandise. Bella needs a good kick in the rear for being such a jerky girl and the rest of it is simply lame. Anyway, thanks for the fun interpretation!! !